OK, not literally on track, since I have never been training on track. 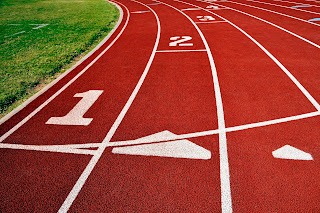 I mean in my new running history since 2009, I used to run on track at my teenage athletic training, but back then I hated running ... Back to business. First of all thank you all for the support after my last post on feeling tired and finally listening to my body. I took two and half days of full recovery and was very happy to be ready for the session with The Coach on Tuesday evening. I have to admit, I was on my way to the black hole of overtraining, I am glad that I stopped relatively soon enough :) Thank you for your feedback and encouragement. You are the best readers I could dream for. 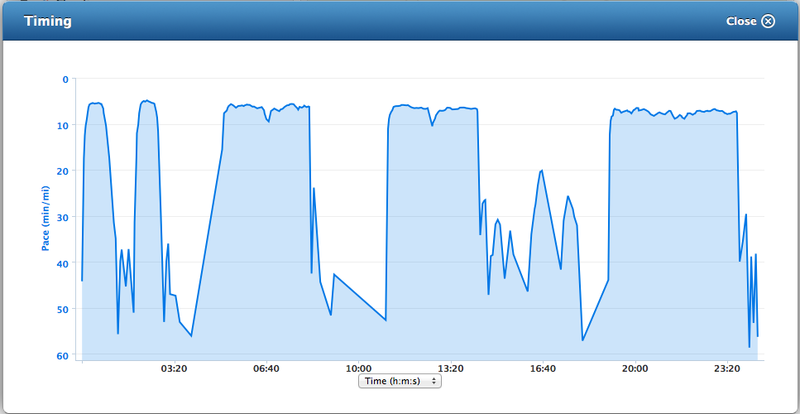 It was 2x 200 m, 2x 800 m and then 1 km at target half-marathon pace (we will see about this in less than three weeks). 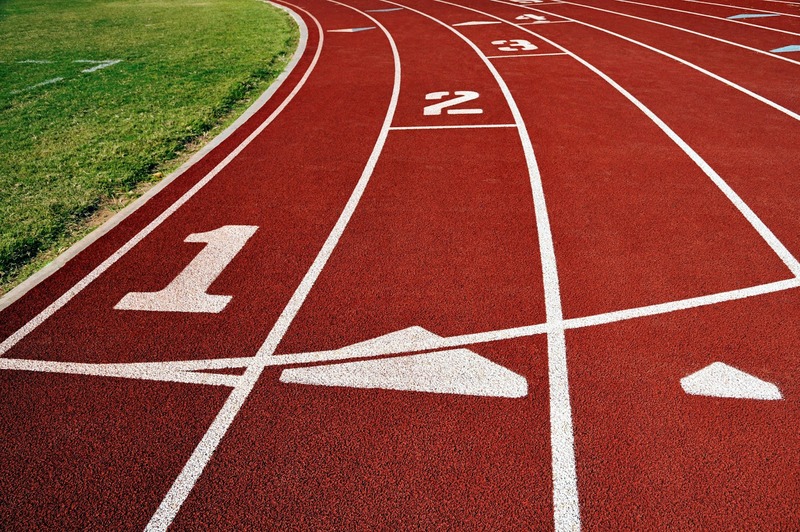 The first 200 m were originally planned under 0:40, but no go for that this time. 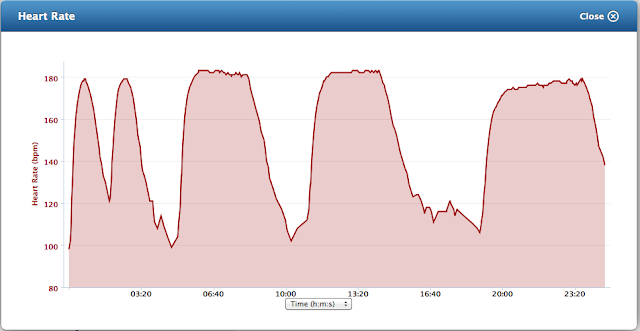 On the other hand the 800 m repeats were supposed to go just under 3:20 and both went well bellow. Yay! 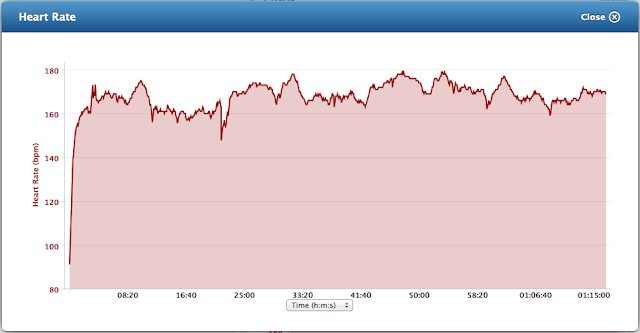 The main target for this training was to get me running for "free" at these fast repeats. You know, I still tink The Coach is little insane trying to explain to me that you can run effortless at such paces ... but I started to understand the idea that I need to start the legs turning fast (like when you start engine in the car - that takes quite some fuel). But after I get to the speed I have to be able to recover as much as possible when I am not pushing myself off the ground = in the "flight" phase of the step. Not sure if this is understandable, I hope yes :) Was really excited with the half miles, I did not feel like going that fast, was checking my time but still I better concentrate on running when going so fast (eg. so fast for me). The workout ended with strength training for the core which is really important for the long distance runners. The strengthen core helps you have a good posture in your everyday life, but apart from that when you are really tired in the second half of marathon or so, it helps you to maintain good running form. Therefore I have to do it every session with The Coach. And preferably I should include some in my other days of week that sometimes I do and sometimes I don't. It will be way easier when it gets really warm outside and I can do the exercise right after finishing my run on the lawn or in the park or so. The Coach promised that it was the last really hard session before the Prague's half on March 31. I have 6 training sessions left of the latest training mini-cycle and then we will be off to fine tuning and tapering. 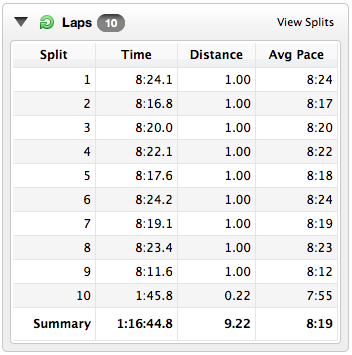 And today morning I headed off for the first of the six session - 9.3 miles (15 km) at 8:26 min/mile (5:15 min/km). My heart rate was all over the place due to the slight hill in one direction and the headwind when I was going up this "invisible" hill. After finishing I was really happy for nailing the run on my tired legs. And in the evening recovery swim - first swim of the season 2012!!! and power yoga to help me relax and stretch my sore body. Thanks to Martina I got free one day pass to her gym, so I could go to the class after like trillion years when I have been only running outside. The yoga felt great, I used to go all the time, but since I don't have any membership now and I have no need for it. I should probably start some yoga at home. But where should I find the time lazy me??? And I am off to bed, happy for being back and discovering that sneaky overtraining soon enough, so it did not cause any more harm than nice two days off. I will take my time and recover properly, I promise! seriously, you run and train so systematically that i feel so random and lost:). as i said earlier maybe because of improvization, maybe because of working to hard at work.. So here is the point for both of us.. We are not over trained.. We simply work to much at work:). Hence there is a easy remedy.. Work less at work and save the energy for running:), at least i plan to do so:), it is my new action plan:). Nope, the shoes are NOT pink! :) Nor is the running skirt, but they will both match with pink - like pink compression socks etc. So don't worry, nothing changes.